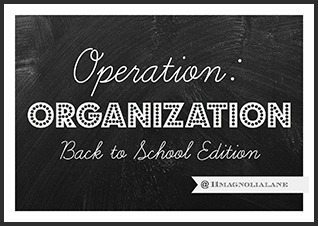 With back-to-school upon us and calendars filling up with fall activities (yes, already! ), I love spending a little time cleaning out the fridge, freezer and pantry. And my phone is ringing off the hook with clients wanting help with that as well as homework stations! Getting those areas organized not only helps breakfast and lunch-making prep run smoothly in the morning, it also helps get that dinner menu plan back in order for the evening. So hard to think about “planning” after a carefree summer meal schedule, huh? Many of us enjoy a weekly meal plan for the school year. I’ve done this before and it works well to take the guesswork out of “what’s for dinner? !” each night…especially when you’re exhausted after a long day. Personally, I’m aiming for improvement in this area. And should be successful because I’ve scaled back our after-school obligations quite a bit. In years past, I’ve had 3 kids in various after-school activities / sports. But with my busy business and homework ramping up as the kids get older, I noticed we were all tired and worn down at the end of a school day. I considered how our overall attitudes and health were during the last school year and decided we need a break. This fall is going to be more intense in other areas so I made an effort to say “no” when / where I can and am shifting focus to what matters / what must get done, which will give us a lot of after-school down time. It was hard to do and still struggle when I see fun sport clinic invites come through my inbox. But this fall with a few changes, that mom gut is saying slow down a bit. 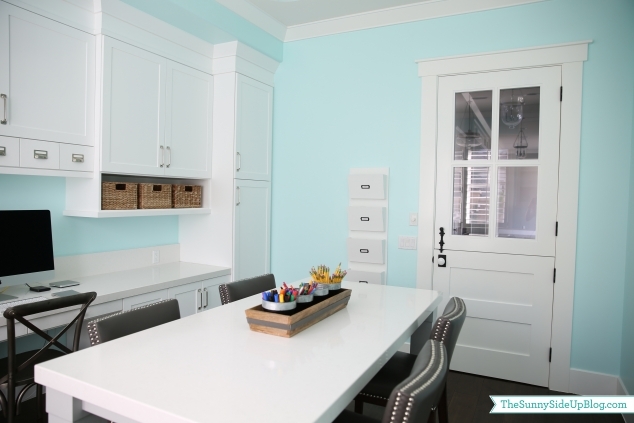 I totally believe that spending a little time getting your spaces organized – especially something as high-traffic as your fridge, freezer and pantry – will save your sanity and your time in the long run. I can’t stress enough how important it is to not overbook yourself, your kids or your family. Think about what’s important and how everyone felt last fall or over the last school year. No one can fault you for shifting more focus on the good things that make everyone feel better. My children are creatures of habit when it comes to meals. I do my best to bring in new ideas, but we always end up back with the typical. So I make sure to have those on hand in my garage fridge, which acts as an overflow and am sure many of you have the same. But even if your main / only fridge is in your kitchen, this inexpensive freezer drawer organization idea is something you don’t want to miss! Like I said, my kids are creatures of habit so I know exactly what to set my oven to for Applegate Chicken Nuggets or Smiley Fries. Removing the box isn’t an issue for me and I’m sure many of you mommies know the same little details about you or your kiddos foods. So why keep that annoying, space-wasting box? I’m in freezer organization heaven. I keep doing that circle back where I open the drawer, wink, meow and say ” Hello, Gorgeous!”. Pro Tip: Be sure to empty your freezer completely, measure the entire space and know what you’re putting away before purchasing product. A good rule of thumb for me is to overbuy and then return what wasn’t used / didn’t fit. It’s always helpful to have everything on hand in case it does work. I too have been cleaning out the pantry and fridge and working on organization, but came to a standstill on our freezer drawer. It looks better than it did, but I couldn't figure out how to "containerize" it. I love your solution! Thanks for this! Pinning for sure! I cut the directions from the box and either store inside the bag, or tape it to the outside. Ahhh I need to do this now!! Thanks for the inpso! I have that Fridge and funny thing it doesn't fit in our space either it pokes out! We did not even think to measure the depth when we got it. We love it though ! 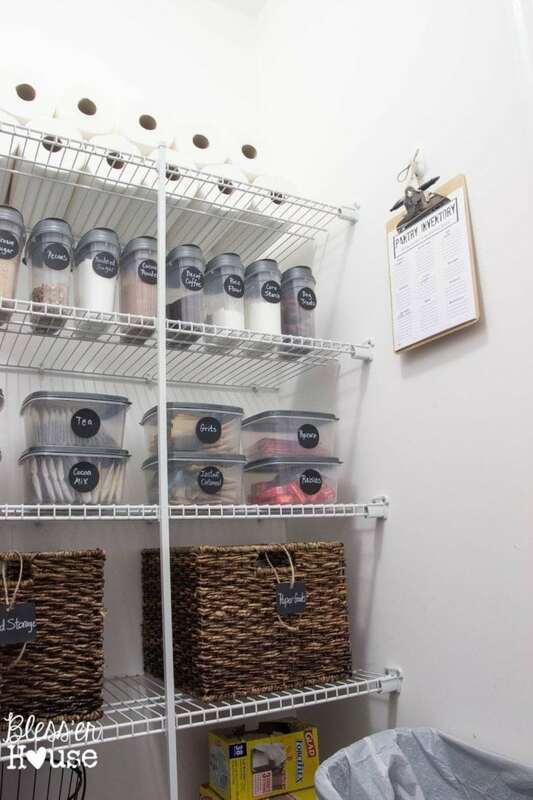 Great ideas for the pull out freezer I need those container store bins pronto. I just cleaned out my refrigerator freezer and am looking for some containers. Thanks for the inspiration! My mom bought a couple of the multi-purpose bins from the container store and they seem to work but with life being busy, I thinkl the freezer needs organized again! Thanks for the inspiration! We also have a Samsung and fight the same battle. I love this solution but wondering if yours is regular or counter-depth? I’m finding it difficult to find bins that fit our counter-depth style. Thanks for the inspiration! Good question…I have no idea what the difference in those size fridges are. Shoot me the measurements of your freezer interior and I’ll let you know if these will work. Or you can check the container store site for measurements…just search “multi-purpose bins” and they will pop up. I love this idea! I have this type of refrigerator and always struggle with keeping the freezer organized. Love your freezer organization!!! Do you have 4 of the medium and 1 small multi purpose bins in your freezer ? Thank you! Yes, there are 4 medium and 1 small. Be sure to share a picture with me if you do this in your freezer! Hi I’m wondering what the dimensions of your freezer drawer are please? We have a similar samsung fridge but I dont think the containers will fits because they’re too long. Ho w to do standup freezer ? As soon as I organize a side x side I will definitely share it in here! Yay! Congrats on a new fridge / new beginning! The bins in my top pull out drawer are 4″ wide. You’re welcome and have fun getting your freezer organized!!! Hi Samamtha, I have this Samsung also. Thank you for your freezer suggestions. Have u organized the refrigerator? Mine stays in a constant state or turmoil. I use clear plastic bins but they seem to take up room. Help please???? I love this idea, but my problem area is bigger, as in a deep freezer. I’m currently using tote bags, and while that’s better, it’s still less than ideal. Now that a year or so has passed, how are the bins holding up to the cold? I might have to try something similar in layers. I’m sure stacking bins of some type would be great in a deep freezer. There must be some great solution out there we can figure out! My bins are holding up great – no issues whatsoever. 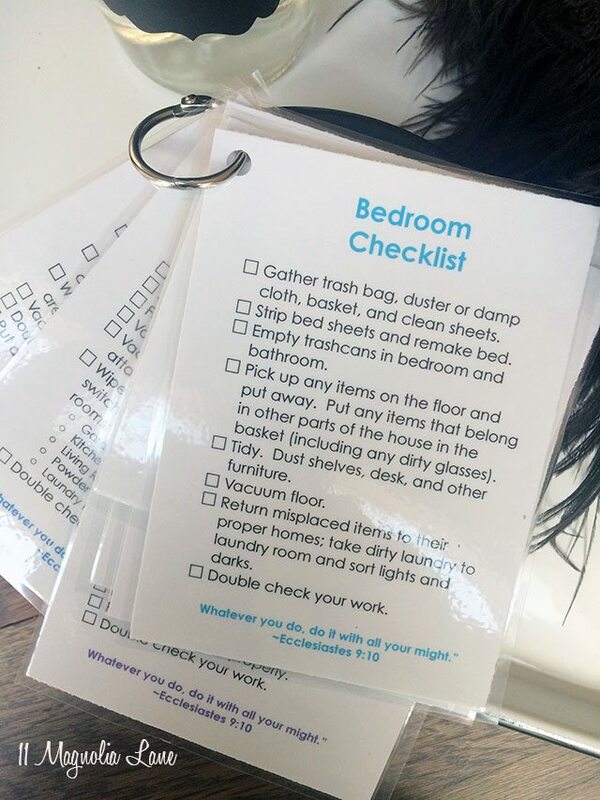 I’ve used this same organizing solution for clients and theirs are holding up well too. They are plastic, so they should hold up indefinitely. 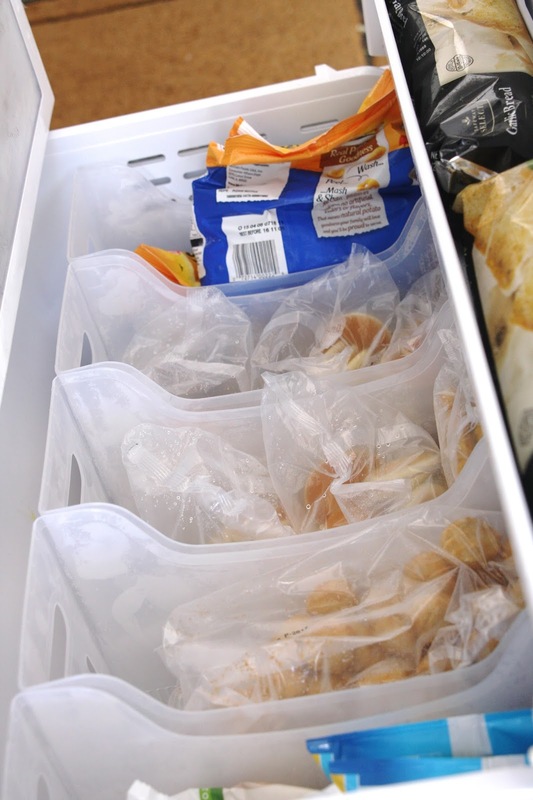 Have you searched pinterest for deep freezer bin organizing ideas? If they don’t have anything, I’ll be on this one! Yes! I have been asked about how to organize a deep freezer like this before – I’m going to figure this out and it will be a blog post soon! I definitely agree that having an inventory list that you can check off will be helpful and a great first step to not losing anything. But I would love to figure out product solutions to help organize and keep everything within reach. Thanks for this info!! I used 1 lg, 3 med and 1 small bin in the bottom. Looks great!! Love the organization. I have the same style fridge. The freezer is a wasted area since things get stacked and lost. The bins you used will be great ! I am recovering with a broken shoulder/arm. 4 pins and no use pins coming out but not healed so no use for possible a month. This is my planning time. Thank you. I`m trying to get both my standing and chest freezers organized. i have what you call all in one refrigerator and freezer than a separate chest freezer, i have 4 households living under my roof, my husband and myself;mother in law; our daughter and her 2children; and my son and his son, all buy their own food and all were using the one frige and freezer until last year when the frige died because my grandkids kept opening it and sometimes not pushing things back and the door didn’t close, so solutions buy another frig for my daughter to use and buy me a chest freezer. now i just share part of the standing freezer with them and i use chest for my food only, now to organiZe. i saw those folder type containers ,now that may work for me in the upright one, store one product per container, have my son do the same! i did see cube like containers on pinterest and diy, but the ones for the top oof freezer that will hook the ledge, don’t know where t9 get them, only been onCe to container store, only got luggage things and jewelery boxes, i dont see wide variety on website, that keeping a list works, I`ve done it before, also mark your product and use along with dat of purchase: keep a few favorite menues handy if you need to have meat cut a certain way, put it done in ziplock freezer bag mark stew, stirfry,etc. I’m no5 good at finding site* again, so if i take time to find it, Thank you for your inventiveness. What size bins did you use in the bottom drawer of your freezer?